Her organization is responsible for executing on Microsoft’s industry strategy and go-to-market for both public sector and regulated industries in the United States, including Education, Financial Services, Government, and Health. 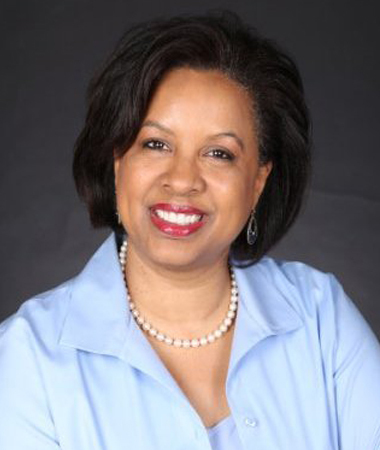 In addition to leading this team, Townes-Whitley drives the formulation of Microsoft’s AI National Plans around the world and represents the global salesforce on Microsoft’s Aether Committee (AI and Ethics in Engineering and Research) – a Board created to recommend policies and procedures that address the implications and opportunities of AI on society. Passionate about leveraging technology to create positive societal and global impact, Townes-Whitley represents Microsoft at the World Business Council for Sustainable Development (WBCSD). In this capacity, she works with CEOs from each industry to address global issues round urbanization, climate change, and workforce readiness. Toni’s external efforts align to her innovation within Microsoft, specifically in the creation of a Digital Leadership vision and narrative that extends the company’s focus beyond customer transformation to responsible and principled implementation of technology and inclusive transformation for every person and organization on the planet. Townes-Whitley is a graduate of Princeton University’s Woodrow Wilson School and has received certifications from Wharton Executive Education, New York University (NYU), and the Performance Management Institute. A writer and presenter on topics of IT innovation in society, she has delivered presentations most recently with Gender Fair (TED Talk), Stanford University, INSEAD, United Nations Council on Women, World Economic Forum, White House Refugee “Call to Action”, GlobeSec, and numerous other industry client and partner organizations. Townes-Whitley is co-executive sponsor for the Blacks and Africans Employee Resource Group at Microsoft. She sits on the board of directors for the United Way (King County), is an advisor to the Women’s Center of Northern Virginia, and a past president of Women in Technology. She has helped to launch new initiatives for Microsoft with the Athena Alliance—an organization that prepares women for corporate board roles; and Gender Fair, a new movement to logo companies with equitable pay and progressive programs for women. Townes-Whitley continues to support the US Peace Corps for which she volunteered for three years as a village teacher in Gabon (Central Africa). She is married to John H. Whitley. The couple reside in Mclean, VA. They have five children and are awaiting their fifth grandchild.